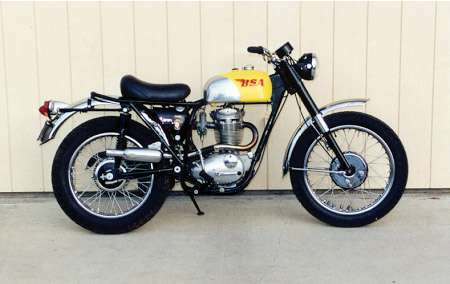 1966 BSA 441 "Victor Special"
1966 BSA motorbike. This is a beautiful example of a round barrel Victor "Special" 4-stroke single cylinder bike. This machine has received some restoration and is in very good shape. It appears to have been very well taken care of and has extremely good compression. The frame and suspension bits have been powdercoated and the tanks have been painted. All of the rubber has been replaced and the tires are in very good shape. 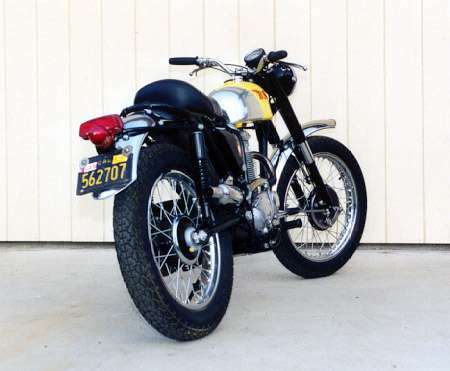 This bike features an Amal 389 mono bloc carb, 441 cc's, chrome rims, headlight, brakelight and license plate and is currently registered and licensed for street legality. There is gobs of power in this baby and she runs extremely well. This bike needs very little to make it a show winner. 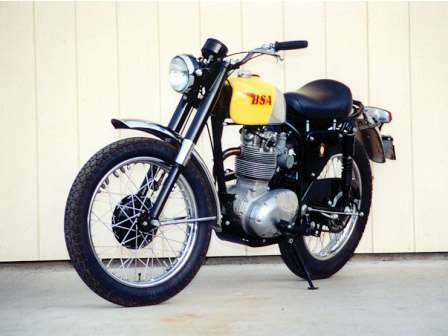 The Victor "Special" was built as an American version of England's Victor "Grand Prix" which was a full fledged racer whose only purpose in life was to go full throttle in motocross. 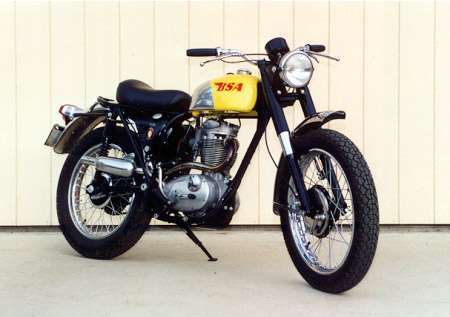 Our version was designed as a modern 500 class machine that could be used in several forms of motorcycle competition and even ridden to and from the event, according to CYCLE WORLD Magazine, April 1966 edition. The "grand Prix" was a racer-replica of Jeff Smith's aptly named "Victor" that was used to clinch the 500cc Moto-Cross World Championship.